Yup! You guessed it! My little buddy right there, JR! And he ain't no 'Ewing', he's my Grandson! As you know [or might not know but you know now..lol] we are smack dab right in the middle of renovations and my Craftroom was the last to be demolished but when I saw this photo I just had to Scrap it! The only papers I had handy were Bo Bunny's Prairie Chic from FotoBella and I kept out my Silhouette Cameo! Then, I grabbed my Happy Trails SVG kit and knew he just needed to be placed on a 'Wanted Poster', right! haha Cute! I distressed up the edges and placed some brads in the corners and inked up the star paper frame. I crocheted a star from Totally White Trendy Twine and took the embellishments from 'Prairie Chic' kit and layered them to create my sweet cluster. I bowed up some Chocolate Truffle Trendy Twine and added to my cluster. To add more dimension, I created some simple shapes and popped them up with some Zots [love these things]! I'm here today with a fun project using Bo Bunny's Trail Mix Collection. I just love this collection. I think i keep saying that with every post, but the more in work with it, the more I love it! 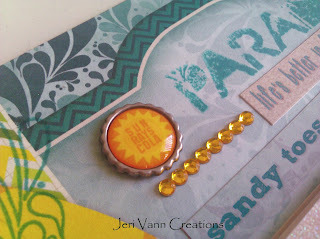 Here I've made an inspirational tag using various embellishments and alpha stickers. 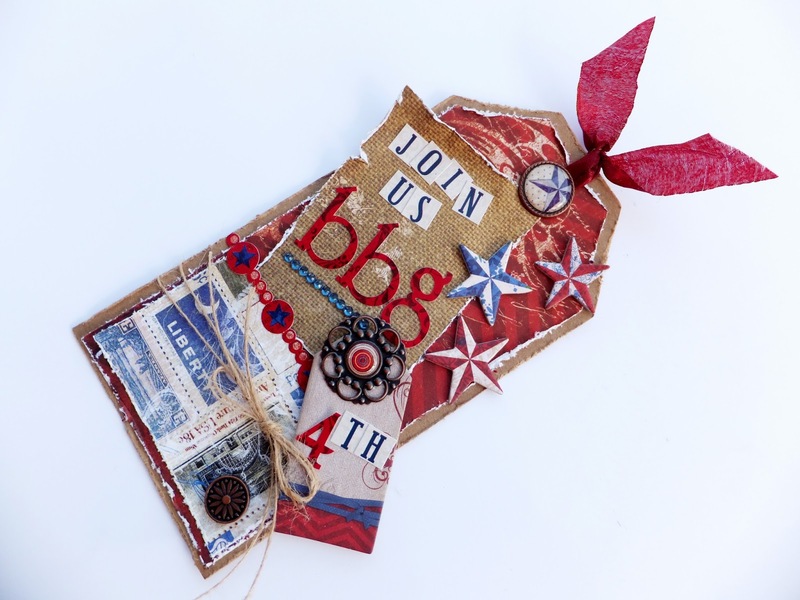 The tag took its form by layering several papers, shapes and embellishments. I also wanted to use all the great alpha stickers which just look great together. It's so fun combining and layering different items and the look can be amazing. Don't be afraid to mix and match and adding the layers to your projects. With so many embellishment options in this collection, the possibilities are endless. This will be a great tag to accompany a graduation gift, card or as an embellishment for a layout. 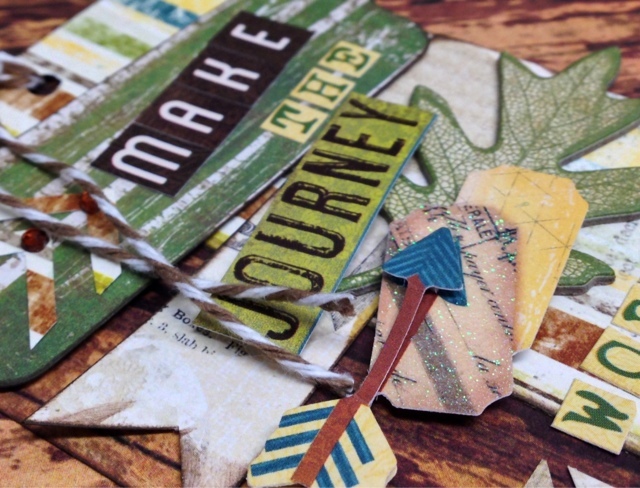 Get this bundle from Fotobella, dig into it and get creative! Summer is here, the sun is hot and vacation is on my mind! 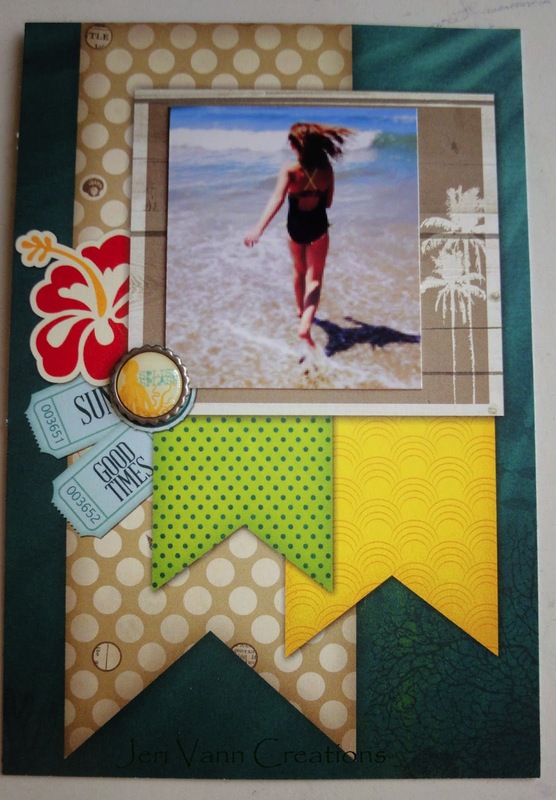 This Key Lime Bundle by BoBunny is the perfect bundle for your summer vacation memories! Now, go out and enjoy that beautiful sunshine! Working with the Bo Bunny Trail Mix Collection for Fotobella has been really fun for me. The I Want It AllBundle is packed with Trail Mix goodies and plenty of fun choices for those outdoorsy photos! The collection reminded me of the photo I had stashed somewhere of my nephew when he’d caught his first fish. It such a cute photo of when he was little and he was SO proud! The fish patterned paper was perfect for creating a fun layered matte for the photo. 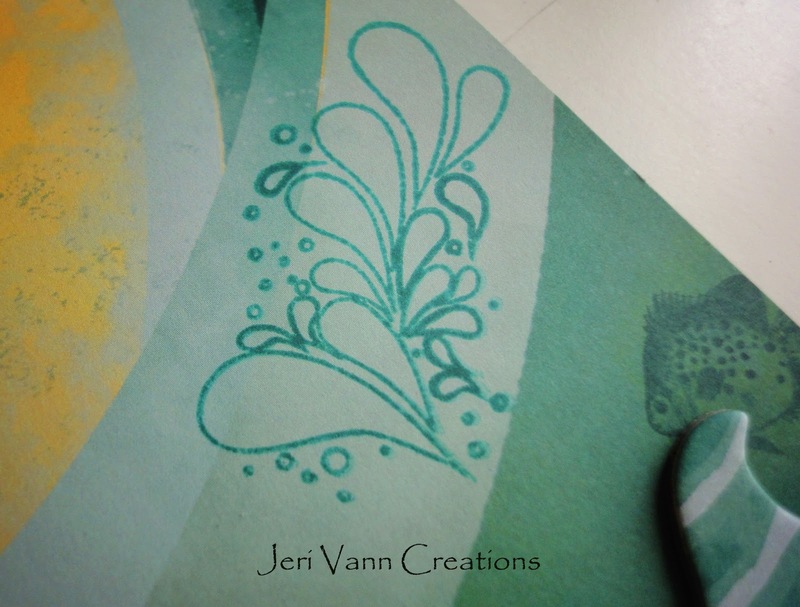 I then layered the embellishments on the page to resemble a mounted fish trophy. 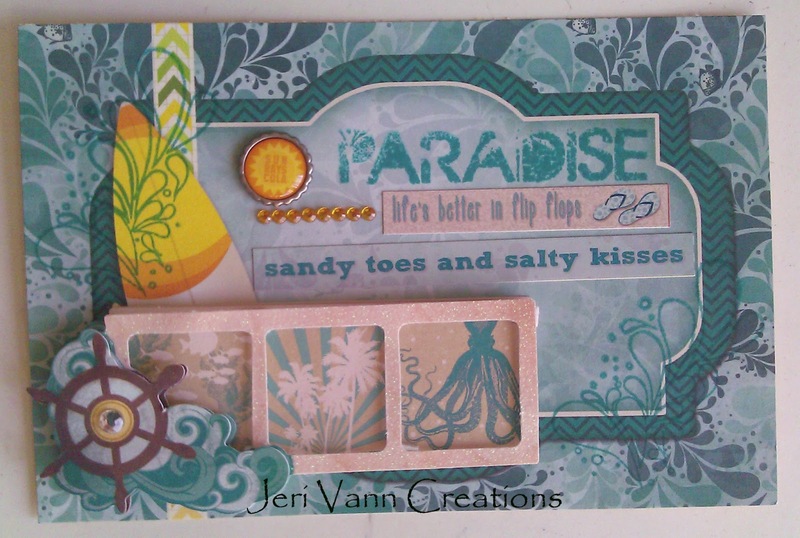 I also found a fun die cut on one of my Cricut cartridges of the fish and a fishing rod, and I added that to the background of the layout. I love how the layout came out. 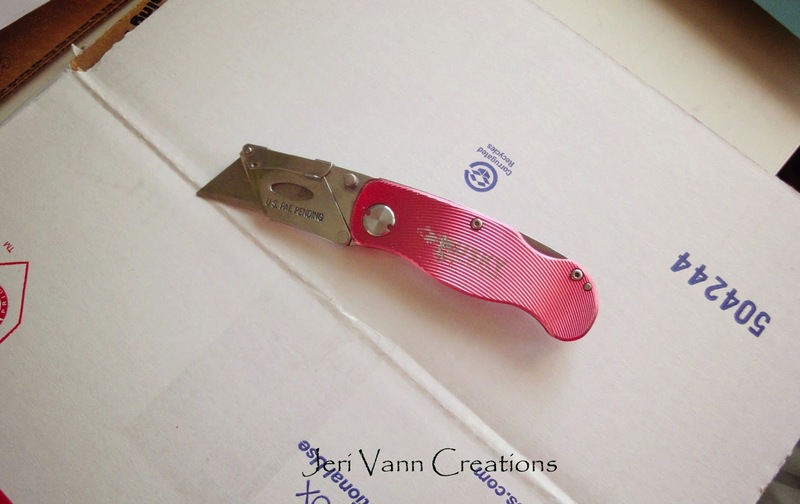 Sarinda here with another creation with BoBunny Anthem Collection. I think I will be making more of these for our July 4th Celebration. I love all the American favorite foods. Yum Yum. 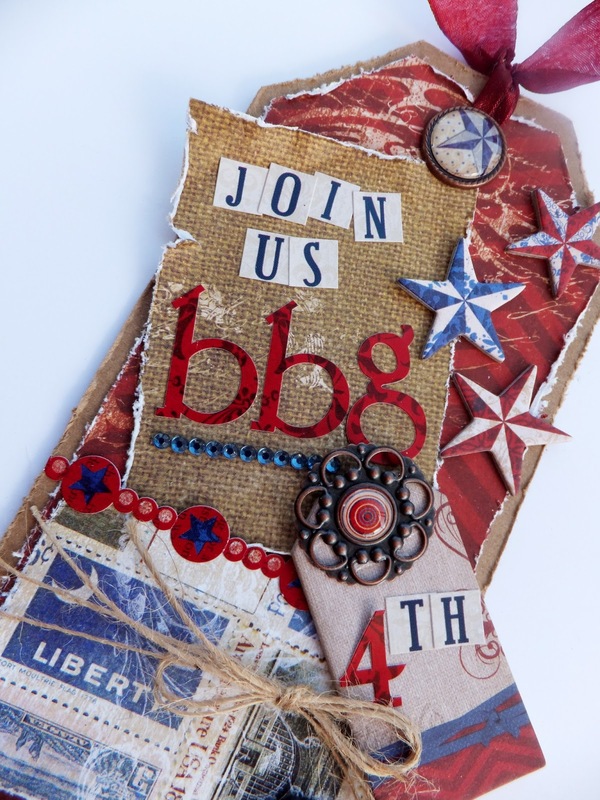 Sarinda here with a 4th of July card that I made with BoBunny Anthem I want it all Bundle. June has swooshed by and the fireworks will begin soon. Hope you are enjoying you Summer so far. 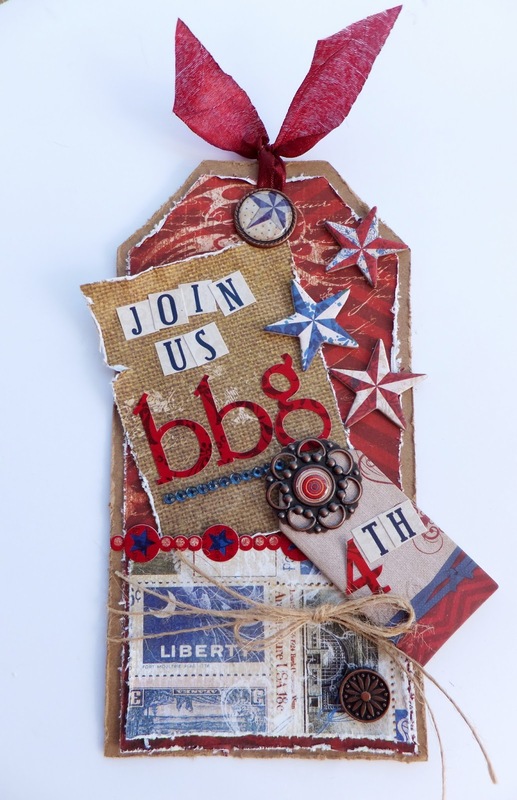 There is more to come with this bundle and the 4th celebration creations. 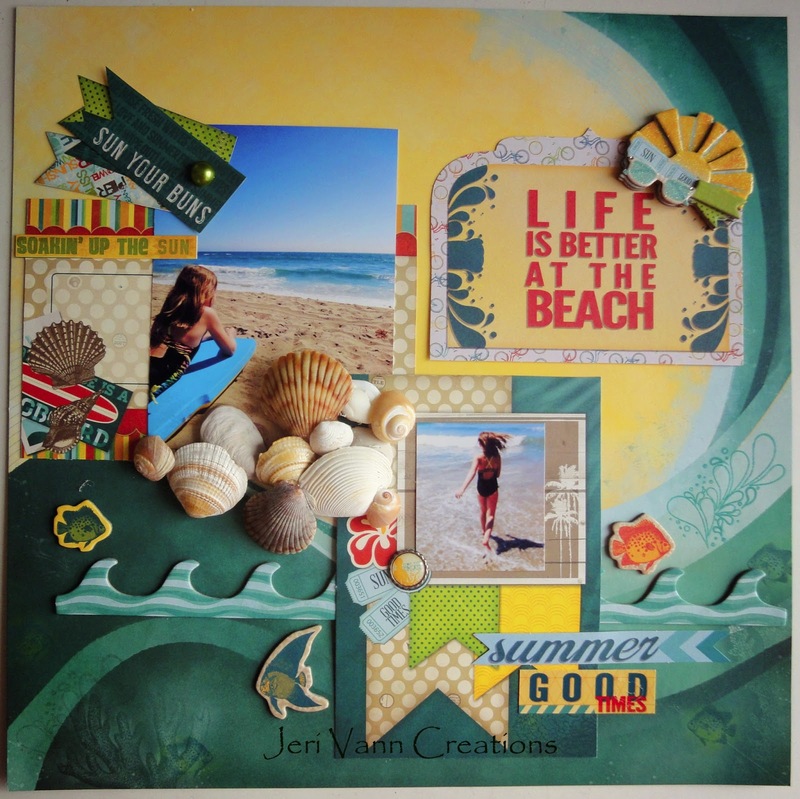 This months fabulous Fotobella I Wannt It All Bundle I had the pleasure of working with is Trail Mix by Bo Bunny. It's such a great collection, very outdoorsy and masculine. With Father's Day just around the corner, I came up with a card with the Trail Mix Collection. It's a very simply card using one of the Free Cuts available at cricut.com right now for making Father's Day Cards. 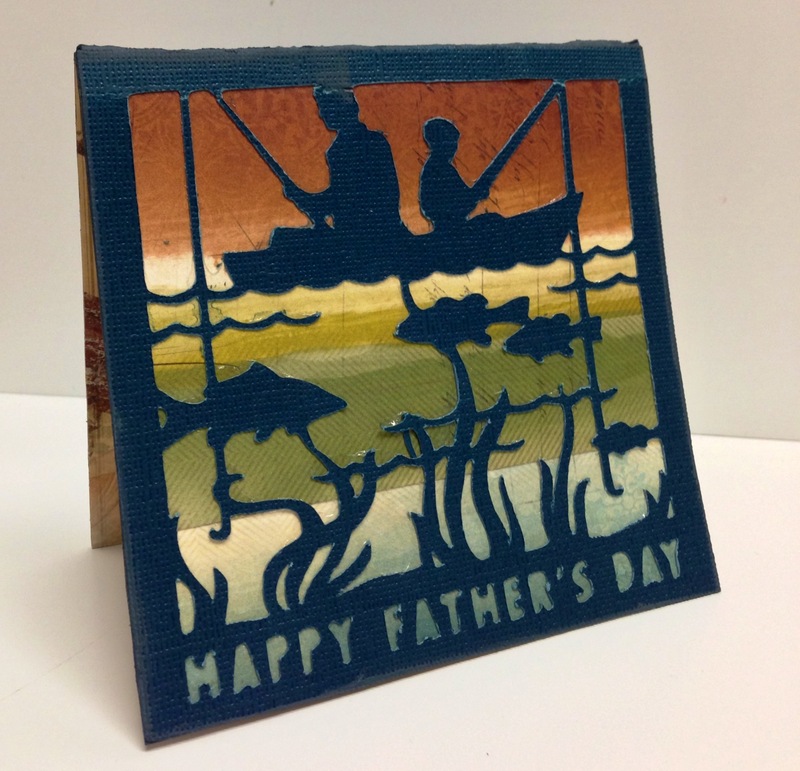 The pattern is the Father's Day Card-Gone Fishing. For the background of the card, I combined two patterned papers: Mountain Air & Botany. 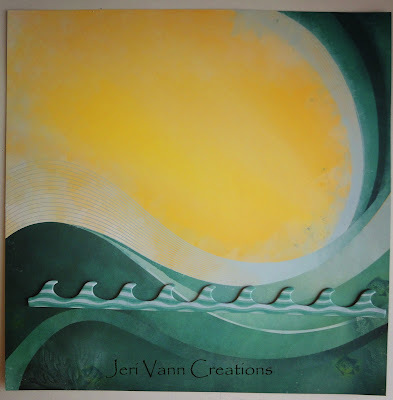 The reason for this was to get the blue color on the bottom to represent water and the brown/yellow color to represent a sunset. I just love the combination. 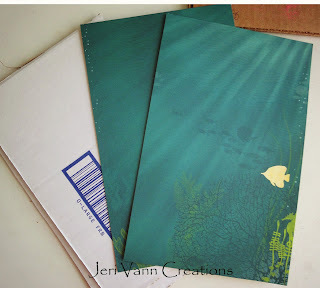 Then I simply chose a dark blue teal cardstock and cut out the Gone Fishing Pattern on my Cricut. Even if you don't have a Cricut, to do this exact pattern, hopefully this gives you some ideas so you can come up with your own card! 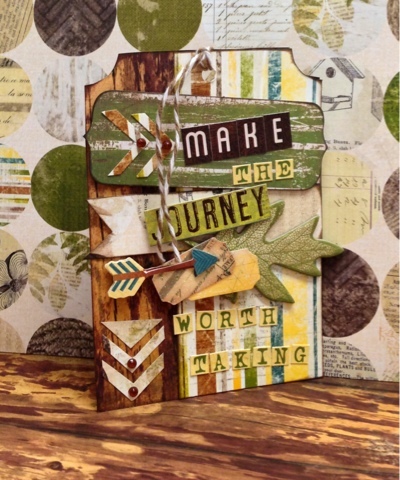 Thanks for stopping by today and stay tuned for more projects featuring the Trail Mix Collection! Have a fabulous day and a fabulous Father's Day! I love each month just anticipating what bundle will come in the mail. 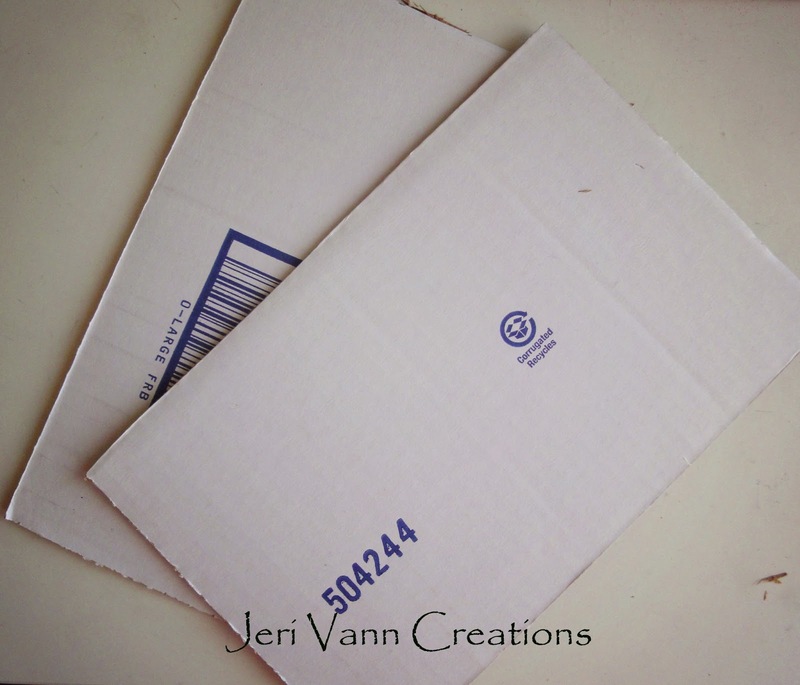 Each bundle make me recall some amazing experience in my life and I just cannot wait to create a keepsake! This month I received the Key Lime Bundle by BoBunny. 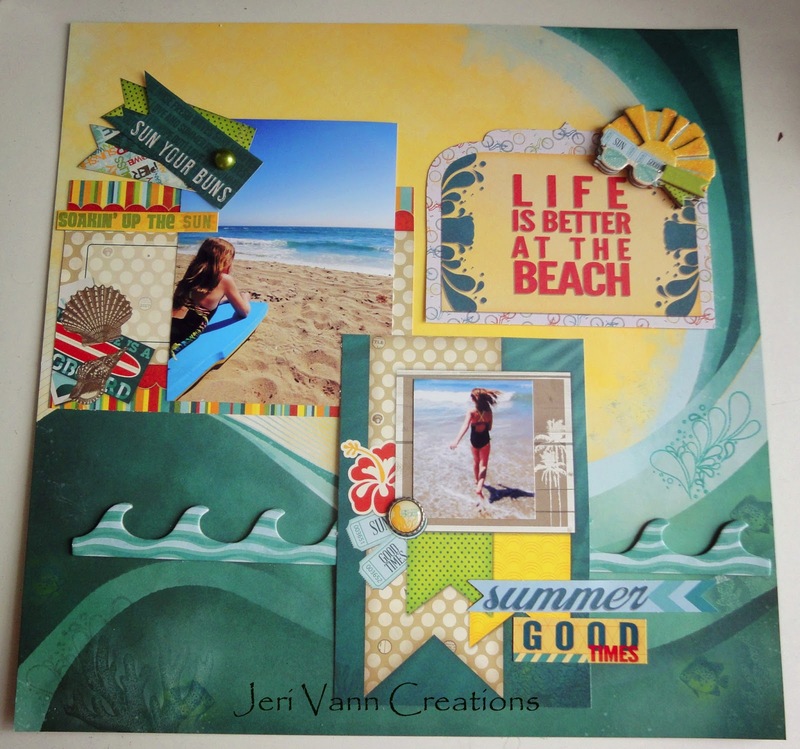 All beach, sun and fun! My niece and I are very close, but we live 2 states away. For her 10th birthday my mom surprised her with plane tickets so Southern California! You can imagine the excitement squeal that came out of her! I wish I could have been there to hear it! So my mom and my beautiful niece came out for a few days, and of course, we spent most of our time at the beach. Jumping waves and collecting seashells. She did not stop grinning until we dropped them off at the airport to go back home. This bundle was so perfect to bring this awesome weekend to life. 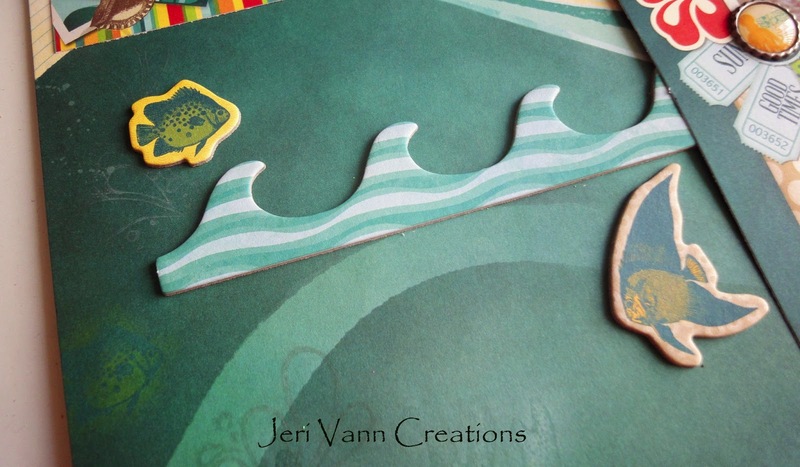 Grab the ‘wave’ chipboard and place it at about ¾ down towards the bottom of the page. Use a portrait image, and stick it to the cut out. 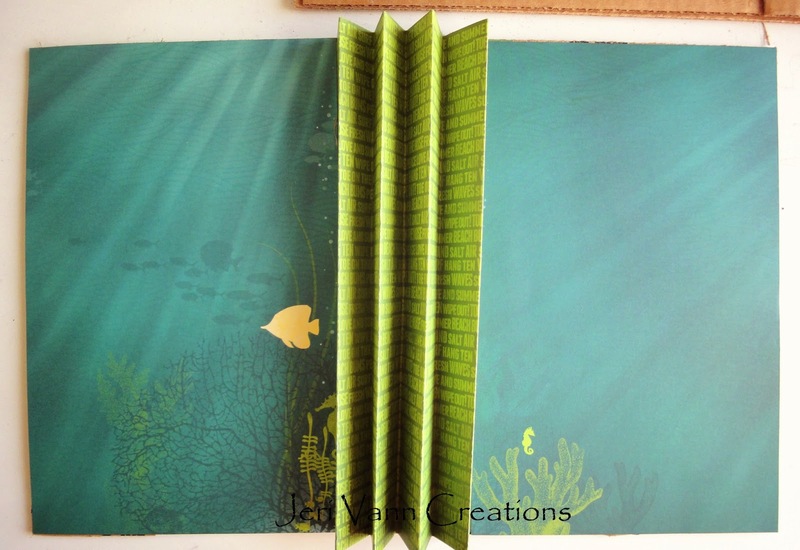 Attach both of the cut outs with images on the background sheet as shown in the image. 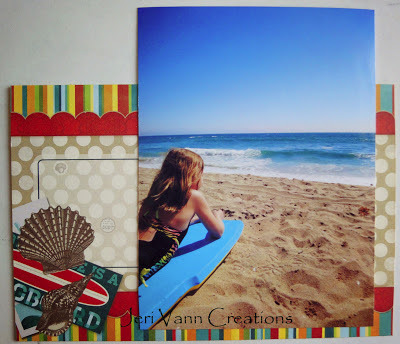 Find the ‘life is better at the beach’ Journal Cut Out and place it in the top right corner as shown. 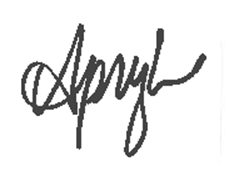 Using tags from both Notes and Wipe Out pages, cut them out and place them in the top left corner of the portrait image. Add a Jewel for interest. 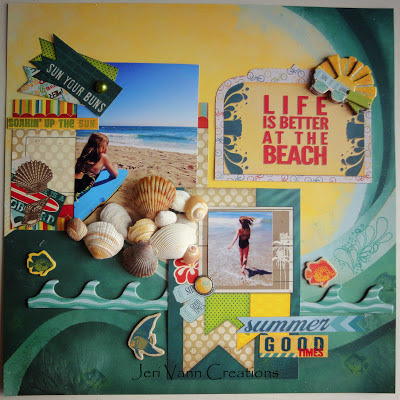 Using the sunshine Layered Chipboard, place this is the top right corner of the ‘life is better at the beach’ cut out. Grab some of the fish from the Chipboard page and place them around the wave chipboard on the background. Here is the funnest part! 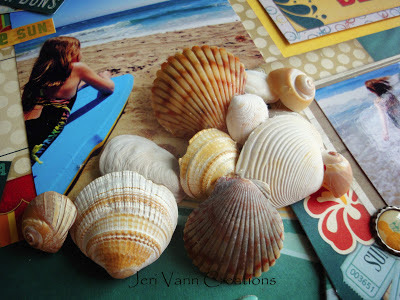 Using real seashells, hot glue them randomly at the bottom of the portrait image. And you have a beautiful layout of an amazing Beach experience! Because…. Life IS better at the beach!! I hope you are able to great great memories to treasure with this great bundle! Is everyone loving Spring? I know I am! 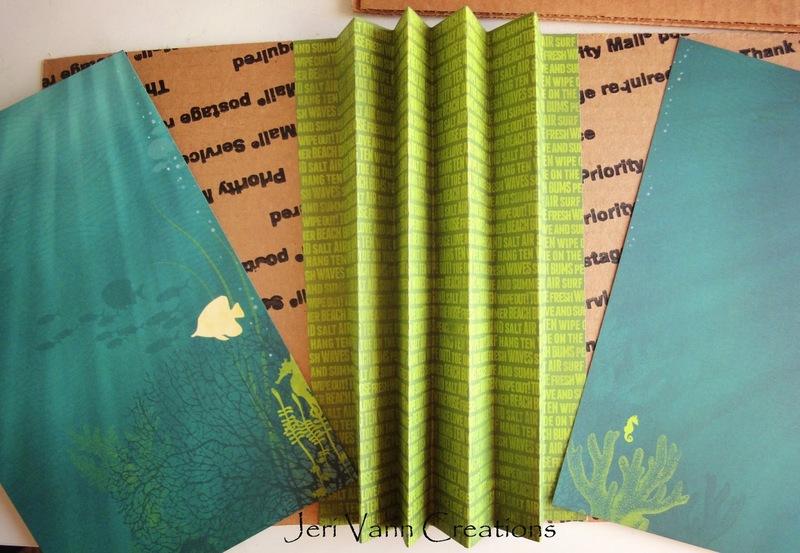 And this new Key Lime Bundle by BoBunny is so perfect! 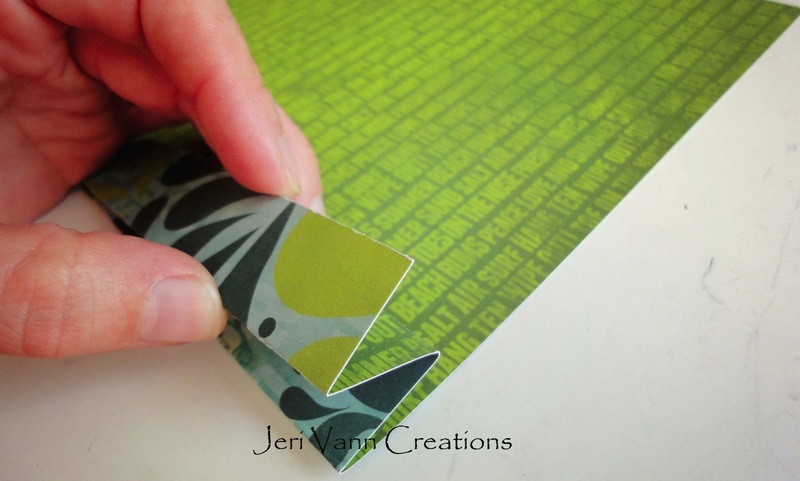 I came across the BoBunny tutorial video for this amazing new Key Lime Bundle here. This video takes one project and spreads it over 4 weeks. So each week is part of the project. So, I watched the video and thought: I want to try this!! But, wait,.... I don't have a sheet of chipboard. But I did have some cardboard! The video asks you to cut 2 6"x9" pieces. However, my cardboard pieces were slightly smaller then 6". Which is totally fine. This is where you can start to make your project custom and unique. 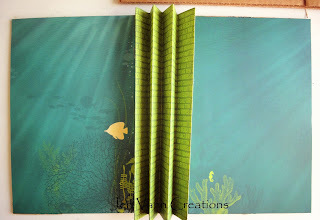 When cutting the Deep Blue Sea sheet, just simply measure it to the cardboard pieces to fit. The video shows tells you to score the Splash sheet. I don't have a scoring board either. So I just measured the first part 3/4" like they say. Then I just fold it back and forth. Might take a little more time, but you get the same effect. Then you have all of your pieces ready. Follow the video on how to secure the papers to the cardboard. Now, if you are excited and want to make your own Key Lime Mini Album, head over to FotoBella and buy your bundle today! You still have time before part 2 of the tutorial video! Hi Everyone! KimberlyRae back with some Fun We R Memories ‘Country Livin’ Bundle’ from FotoBella! Well, you guessed it! I’ve got started on Father’s Day Cards and Goodies! Have you? Need some inspiration? Quack, Quack! This sweet couple had five kids and too many to put on the face of the card [plus the two Grand-goslings] so I cut out seven lil ducks and used as confetti inside! Won’t he be surprised!! I used SVG kit ‘Picnic in the Park’ to cut out my card and envelope. Each kit comes with full PDF instructions and an assembly tutorial video, too! 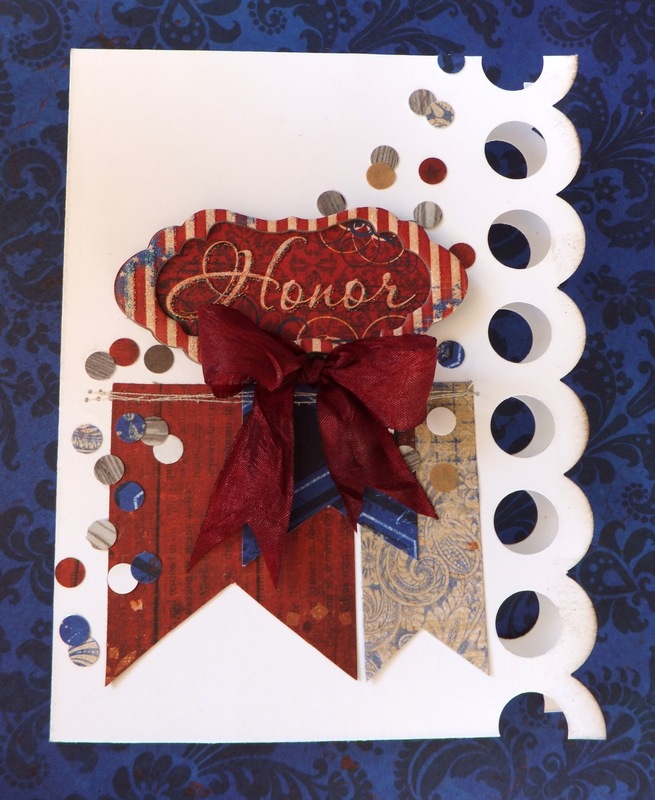 My hubby also likes anything patriotic so I used the stripes papers and solids to match. 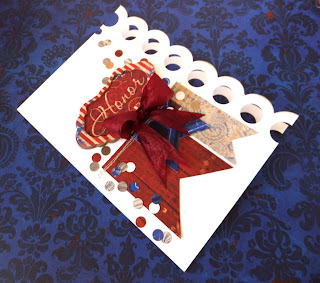 Then, I used the Stars papers for the envelope [see below the card]? 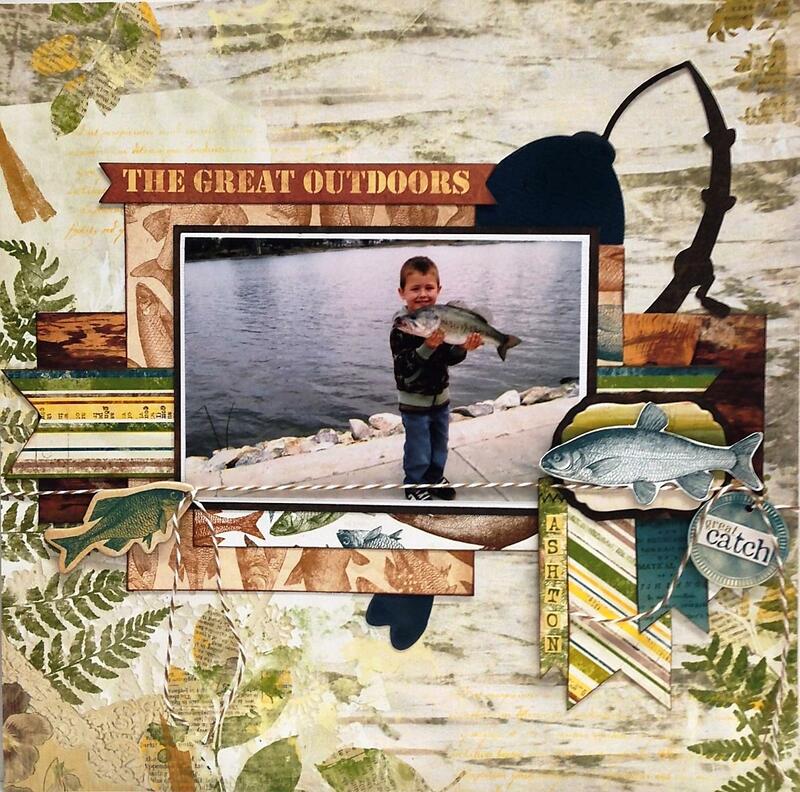 We R Memories ‘Country Livin’ Bundle’ comes with FOUR each double-sided papers [that's a whopping 28 DS'ed papers], sticker sheet, tags and thicker Alpha which I used on the outside of the card and spelt his name.